Superior Flame Resistant Protection with Comfort & Functionality! To get Superior Flame Resistant Protection with the comfort and functionality you expect, get the KEY Flame Resistant Insulated Duck Chore Coat. 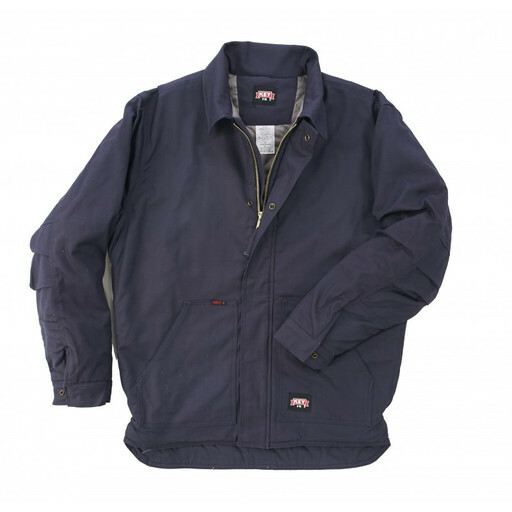 The rugged, heavyweight outer shell is reinforced with triple needle stitching for enhanced durability. A moda-quilt lining insulates for warmth, while the storm flap and adjustable cuffs help to trap in that warmth and keep out the cold. Built with work in mind, this coat features a full gusseted bi-swing back, articulated elbows and underarm gussets for ease of movement. Safety is the priority, which is why this coat is rated HRC Level 4, ARC Rating 41 and also NFPA 2112 Certified. Unlock superior Performance, Ultimate Safety and Maximum Comfort with KEY!